For example, Robert Barnett, a former faculty member at Columbia University, told Lloyd-Damnjanovic in an interview that he was visited frequently by Chinese officials from China’s New York consulate office, to pressure him into supporting Beijing’s policies in Tibet. The officials sought to know Barnett’s position on changes in American policy toward the region and U.S. officials’ plans to meet with Tibet’s spiritual leader, the Dalai Lama. Barnett said he suspected these Chinese officials either worked for China’s intelligence agency or China’s United Front Work Department. The Chinese Communist Party (CCP) invaded Tibet in 1949, declaring it a part of Chinese territory. The Party has since enacted harsh controls over the Tibetans’ way of life, particularly by suppressing their Tibetan Buddhist faith. The CCP has continually pressured the international community to fall in line with Beijing’s stance to delegitimize the faith, including by ostracizing businesses and individuals who express support for the Dalai Lama. The United Front, once referred to by former CCP leader Mao Zedong as a critical weapon in the communist revolution, carries out covert operations inside and outside the Chinese border. Overseas, it recruits spies and infiltrates Chinese communities to spread Party propaganda and persuade local Chinese to agree with Beijing’s policies. Another incident took place at the University of Colorado, Boulder, where a staff member recalled being pointedly questioned by Chinese officials visiting from the Chicago consulate about an incident in 2002. An altercation had occurred between Tibetans and a mainland Chinese student, who was then the president of the school’s Chinese Students and Scholars Association (CSSA). 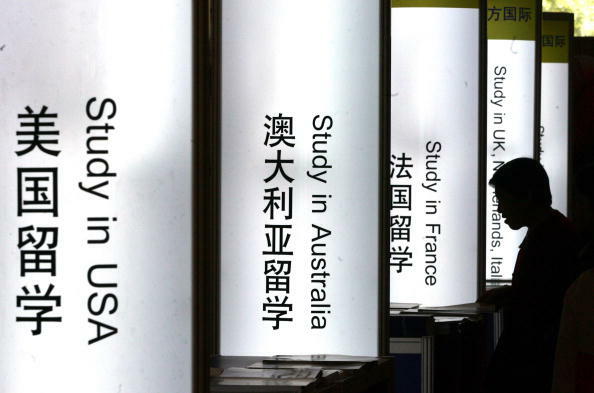 Such university student groups, geared toward international students from mainland China, are known to be recruited and monitored by Beijing to assist in carrying out the CCP’s agenda. One senior consular official asked the staff member why she didn’t do more to “help” the CSSA president. Such Chinese diplomats also arranged delegations from China to visit U.S. colleges and universities and meet with academics and professors to discuss sensitive subjects, such as Tibet; the Falun Gong spiritual group, persecuted by the CCP since 1999; Uyghurs persecuted in the Xinjiang region; Taiwan, also claimed by Beijing as part of its territory; and Chinese democracy activists. According to Lloyd-Damnjanovic’s report, some of these visits served the purpose of spreading the Chinese regime’s propaganda about those topics. The documentary, co-produced by Xia, was about the earthquake in southwestern China’s Sichuan Province on May 12, 2008, that killed about 70,000 people; many of them were children who died when their poorly constructed schools collapsed. In 2009, the documentary was nominated for the Academy Award for Best Documentary. For example, a faculty member from the University of Denver recalled two instances of harassment in the form of student emails after he gave a lecture about the Tiananmen Square Massacre of 1989, which left scores of pro-democracy protesters dead. In one of the emails, a Chinese student accused the faculty member of lying about the number of casualties, and insisted that nobody died in the incident. Lloyd-Damnjanovic offers several suggestions for U.S. schools and American policymakers to prevent Chinese influence. Schools should work with federal law enforcement, she said, and report instances of Chinese diplomats pressuring or threatening retaliation against staff at American colleges. Lloyd-Damnjanovic also suggested that the U.S. government declare persona non grata status to Chinese officials in the United States if they pressure American universities or their staff. In diplomacy, a person declared “persona non grata” is prohibited from entering or remaining in a given country. Additionally, universities could set up a reporting system so school faculty and students can report cases of interference and infringement, she suggested.